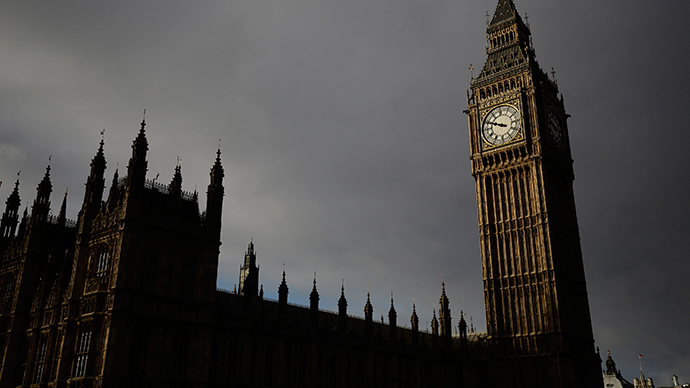 Four peers in the House of Lords have been accused of abusing Parliamentary procedure after they attempted to insert the controversial ‘Snooper’s Charter’ into another piece of legislation. The charter was inserted as an amendment into the Counter Terrorism and Security Bill, despite widespread opposition to previous attempts to introduce the legislation. If it passes in the Lords during Monday afternoon’s debate, it will be able to bypass the House of Commons and be fast-tracked into law. The provocative ‘Snooper’s Charter’ is supported by the ruling Conservative Party, but Labour and the Liberal Democrats have vowed to block it on the grounds it poses a threat to civil liberties. Critics have decried the attempt to sneak the charter into an existing bill. Open Rights Group, an organization which campaigns for digital freedoms, said the Lords would not have time to properly consider the legislation when they debate the bill on Monday. “Insert[ing] the Snoopers' Charter into an already complicated bill is an abuse of procedure,” the organization said. The four peers behind the last-minute amendment each have links to the security sector. Lord King is a former Conservative defense secretary, Lord Blair is a former Metropolitan Police commissioner, Lord West is a former Labour defense minister and Lord Carlile is a former Liberal Democrat reviewer of counter-terror laws. Ian Dunt, editor of Politics.co.uk, described the move as “skulduggery” and said it proved how desperate the security services are to get the bill passed in Parliament. Also known as the draft Communications Data Bill, the ‘Snooper’s Charter’ would require internet companies to keep personal communications data for one year. The blanket collection of data would mean information such as who Britons phone, email and text would be retained in the event security agencies needed to access them. In April 2014, the European Court of Justice ruled against the introduction of the ‘Snooper’s Charter’, warning it would result in serious privacy violations. The Court set out a more moderate data retention program that would be limited to investigations of serious crime. “Parliament should reject the introduction of the Communications Data Bill into the Counter Terrorism and Security Bill,” it said. “At the time industry was critical of the level of consultation and there has since been no adequate consultation since,” the ISPA added. Despite Monday’s attempt to introduce the bill, it’s unlikely to pass given Labour and the Liberal Democrats are opposed to the legislation. In the wake of the Paris attacks by Islamist gunmen, Prime Minister David Cameron promised a new surveillance charter if the Conservatives win the general election in May. Labour leader Ed Miliband said he would continue to oppose such a move. “We have got to look at both areas. We have got to look at, do our intelligence services have the tools they need? But equally, do we have the proper oversight to guarantee the liberties of free citizens?” he told the BBC. “After all, one of the things we want to protect most of all here is our freedoms. So we should defend our freedoms, also making sure that the security services have what is necessary to counter that threat and defend that freedom,” he added.